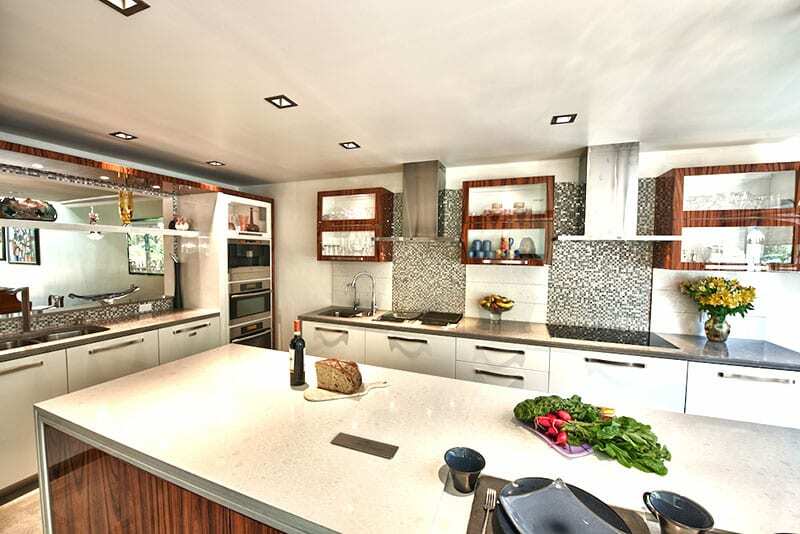 Chef's Dream Kitchen | The Creative Edge, Inc. 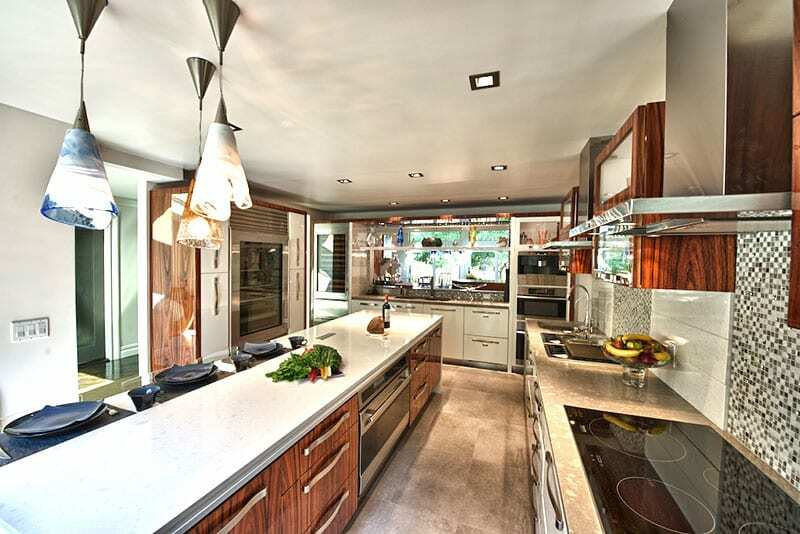 Designed as separate prep stations, each wall serving a different function while creating a chef’s dream kitchen. 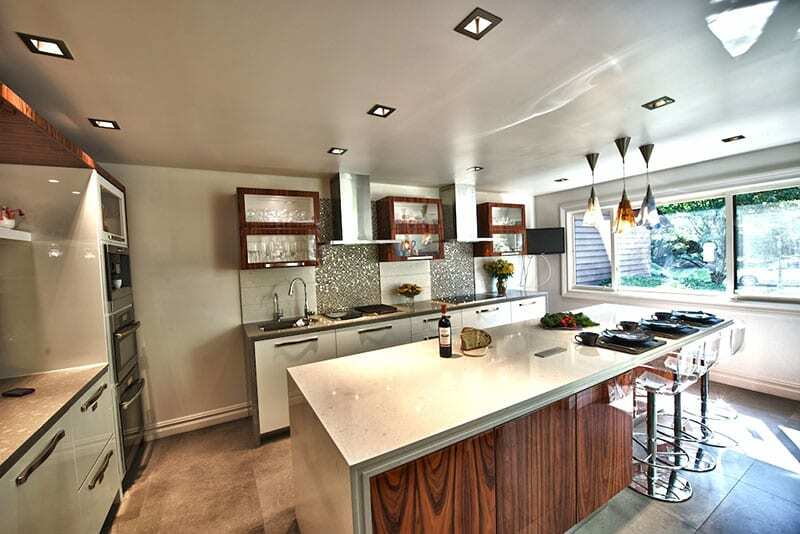 * Hand buffed polyester high gloss kitchen in white & Santos Rosewood by Craft-maid custom cabinetry. 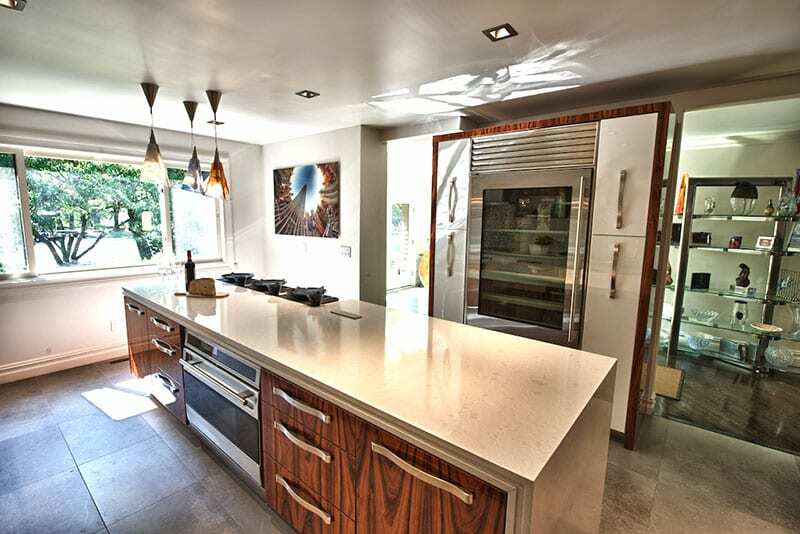 * Caesarstone Supremo Shining Armor & Swan Lake in triple layer waterfall design. 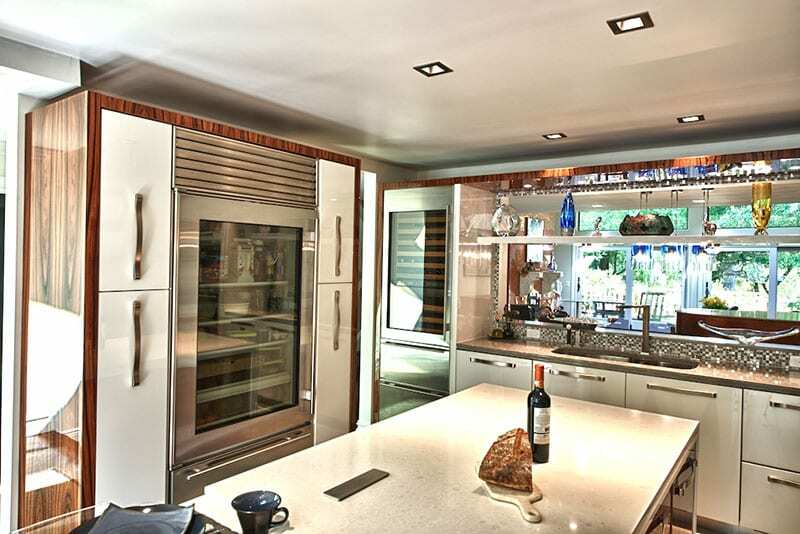 * Wolf Sub-Zero and Miele appliances. * Porcelain concrete color floors. 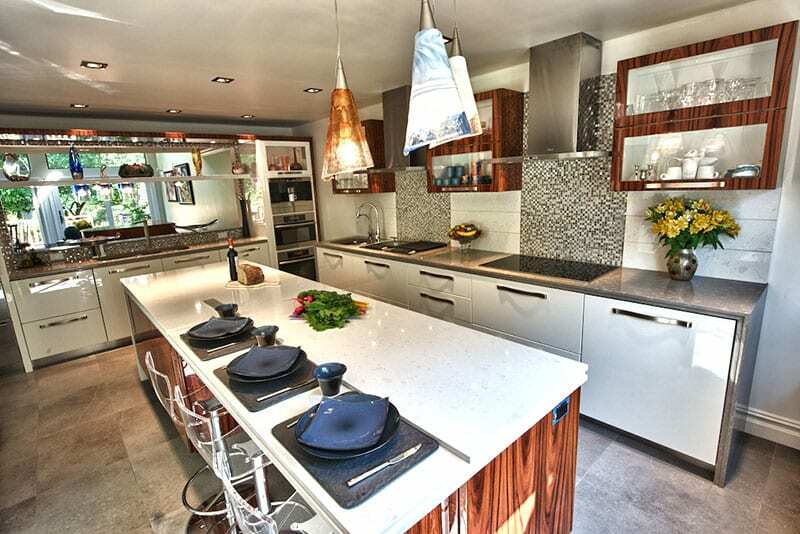 * Mosaic backsplash ties all the elements together.